Black Friday 2018: discounts and giveaways!! From last years you probably remember coupon code ENABLER, and this time you can use it again in all 20 Ravelry shops for best ever discounts on patterns. Click the links below, and they will bring you directly to Ravelry. Make sure to visit all shops, maybe you'll discover new designers' names. As already mentioned, except of sales event there are several giveaways running right now – both on Facebook. 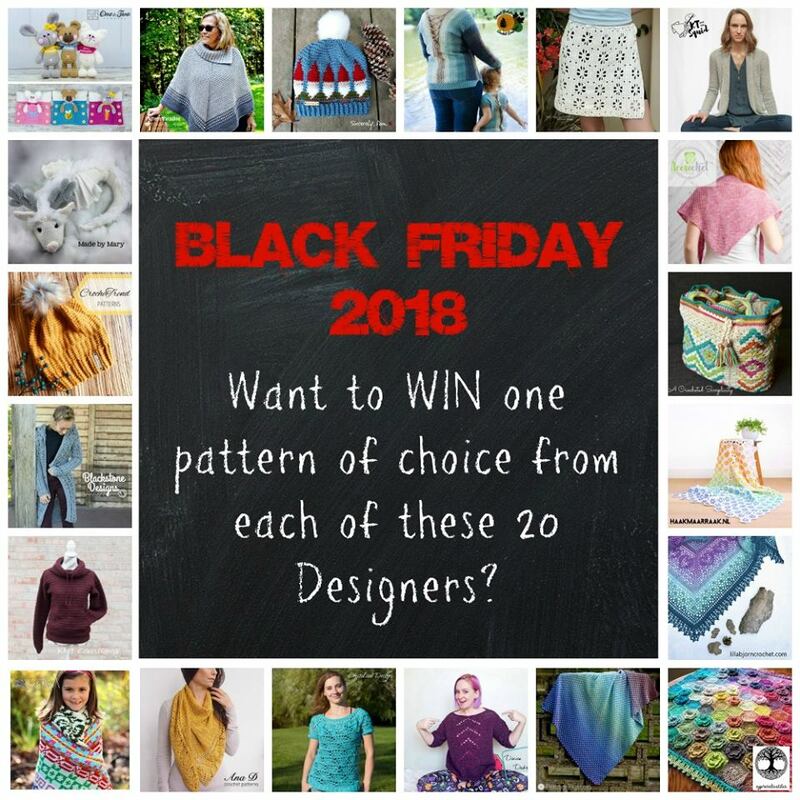 To get a chance to win one pattern of choice from all 20 designers, read THIS post on Facebook, comment on it with an answer to my question and move forward to the next designer’s clue (a hint is hidden in the picture). You should visit all 20 Facebook pages and answer 20 questions. All questions are very simple, so really nothing to worry about. It's just a game, and not an exam. But please, be aware that you should only comment on original posts on designers’ FB pages (and not in groups or on shares). There will be three winners in this fun giveaway. The winners will be announced on Friday, November 23, 2018 by noon (PST). 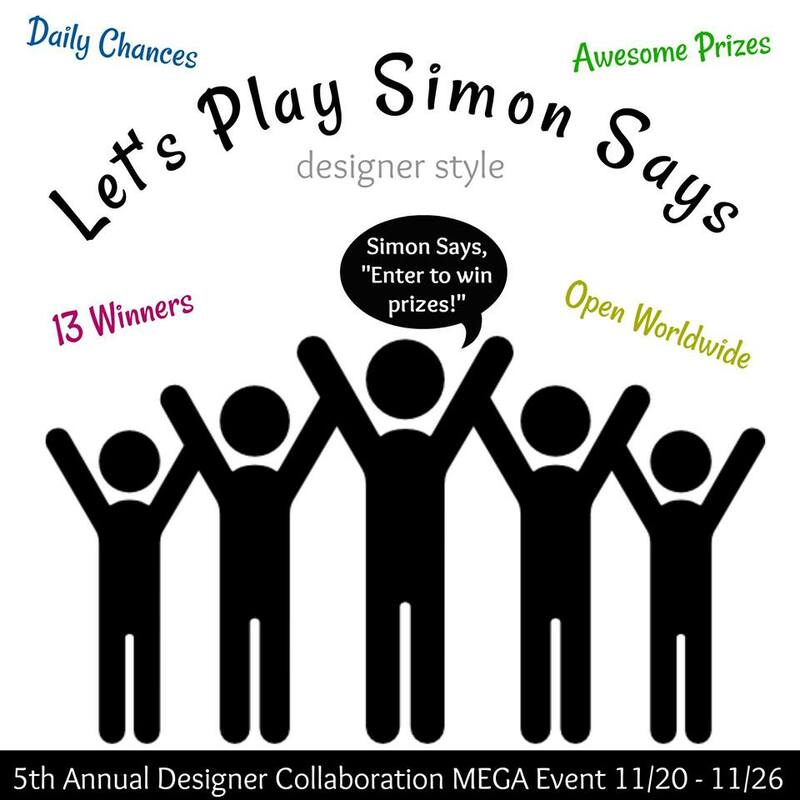 This year we will again play a modified version of the classic game, Simon Says! It’s very easy and everyone can join! From Wednesday till Monday me and other participating designers will be sharing graphics on our Facebook pages with very simple instructions on how to enter the game (to a chance to win awesome prizes). You can enter daily by commenting on these posts. 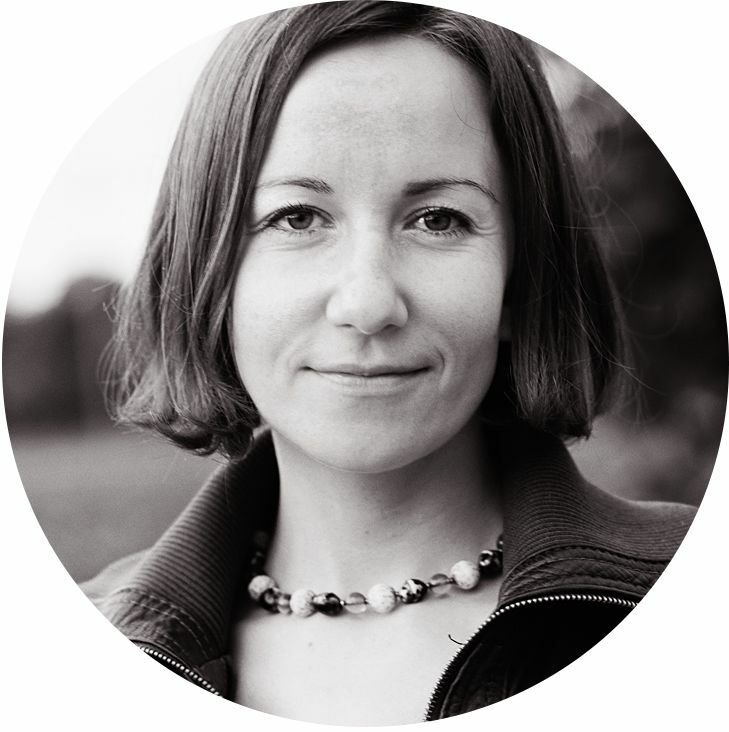 You can enter once by posting a link of your favourite design from a featured designer. 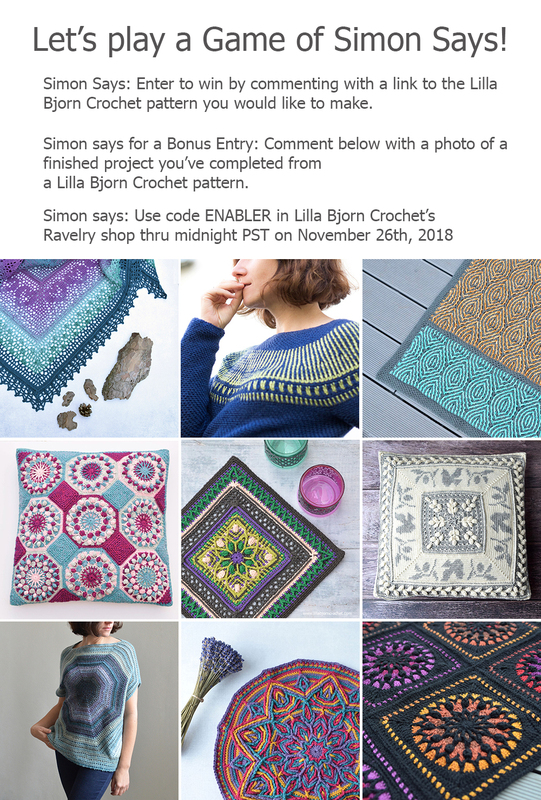 Aaaand you can enter once again – but posting a picture of your finished project made with the pattern of this designer! IMPORTANT: you should only comment on original designer's post, not on shares. Let’s have a look at this example below. UPDATE: the winners have been chosen (see below the list of prizes with names). If you are the winner and has not claimed your prize yet, please contact Jeniffer at A Crocheted Simplicity (click HERE). I feel butterflies in my stomach - so excited I am! That will be lots of fun! Not to miss anything, please, follow me on Facebook. My page is HERE. Nice offers for black friday. Going to grab one. Thanks. 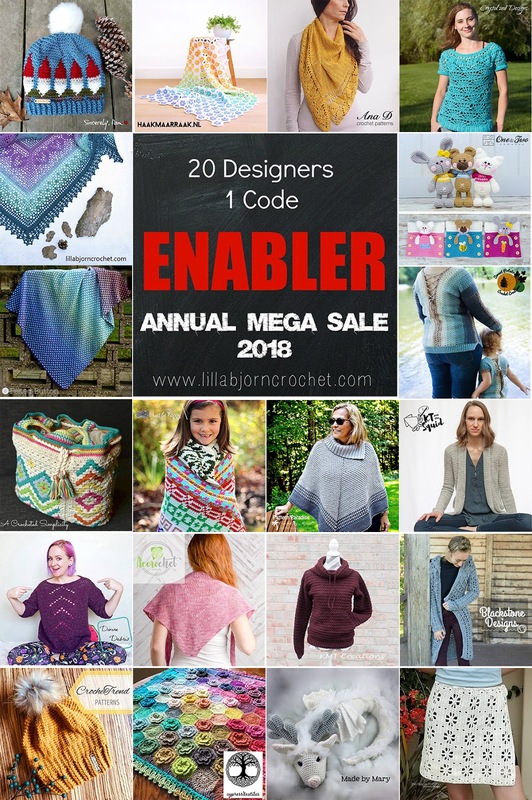 I would love to make the long crochet sweater (it’s blue in the pic).